1. Create your own movie night. Design your own invite and and cute snacks for a movie night in with your babe! This DIY from Pink Pistachio is my fave. 2. Memory jars are the sweetest. Now you have something to do with all your ticket stubs and memorabilia you've been collecting! Last year, I blogged with my very own simple DIY mason memory jar instructions. 3. Make a flirty book out of cards! List everything you love about your honey (but on playing cards) with images and memes to match. Little Gray Fox is a DIY genius! 4. Buy (or make) love coupons! My favorite is surprising your sweetie with a massage appointment and creating your own coupon pass including the gift certificate. 5. Heart-shaped bath bombs are LIFE. Surprise your sweetheart with a relaxing bath with just these suds or include an entire pampering kit by mixing DIYs. The bath bomb recipe comes from the lovely The Gunny Sack. 6. "Pale ale for my favorite male!" These adorable (and FREE) printed beer labels from Smart Party Planning jazz up any bottle! 7. 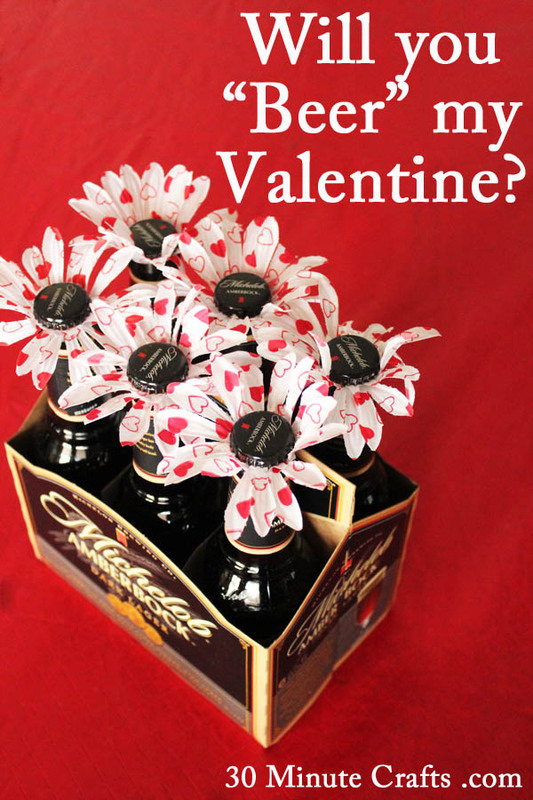 Sticking with the theme, you can then ask your honey if they'll "beer your Valentine" with 30 Minute Crafts' beer bottle topper! 8. For all those handy working men (and women) out there, this "love bucket" by Hoosier Homemade is seriously too cute. Piled full with all the things they'd love, they're sure to love this thoughtful gift. 9. Say "I love you" with this mirror heart filled with all your favorite things about your baby! This DIY and others can be found on Cella Jane's blog. 10. 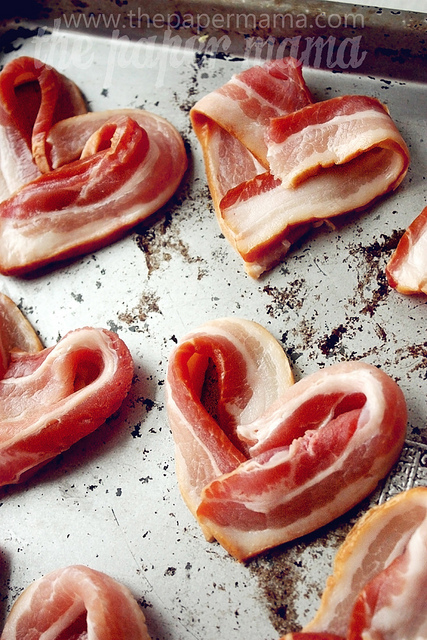 Or just say it with bacon! Which is your favorite Valentine's DIY? Did you make any of these?